As the only luxury property on The City’s waterfront, Hyatt Regency San Francisco is offering its popular Explore Package in conjunction with a series of free walking tours. This list of suggestions was accumulated with input from the National Parks, the hotel’s concierge staff and San Francisco tourism resources. Enjoy the excitement of the City by the Bay with the hotel’s Explore Package, which includes overnight accommodations in newly renovated guestrooms, 15% off food and beverage at Eclipse Restaurant located in the Guinness Book of World Records largest atrium lobby and two San Francisco Municipal Transportation Agency (SFMTA) passes, which provide unlimited daily use on the iconic cable cars, historic street cars, busses and trolleys. Rates start at $229. Sometimes considered the wildest, rockiest corner of San Francisco, Land’s End is a historical hike that begins at Point Lobos and is an ideal location to watch the spectacular sea lions bark on the rocks below. This is a nice retreat from the busy city life where outdoor enthusiast can get lost in the dramatic cliffs, open terrain and 30-mile, panoramic views of the California coast. While here, hikers can also visit the ruins of Sutro Baths, a large public bathhouse that was constructed in 1896. There is also a Labyrinth, shipwreck remains and the Palace of the Legion of Honor to round out the adventure. This relatively easy hike is roughly 3.4 miles long and normally takes 1-3 hours. 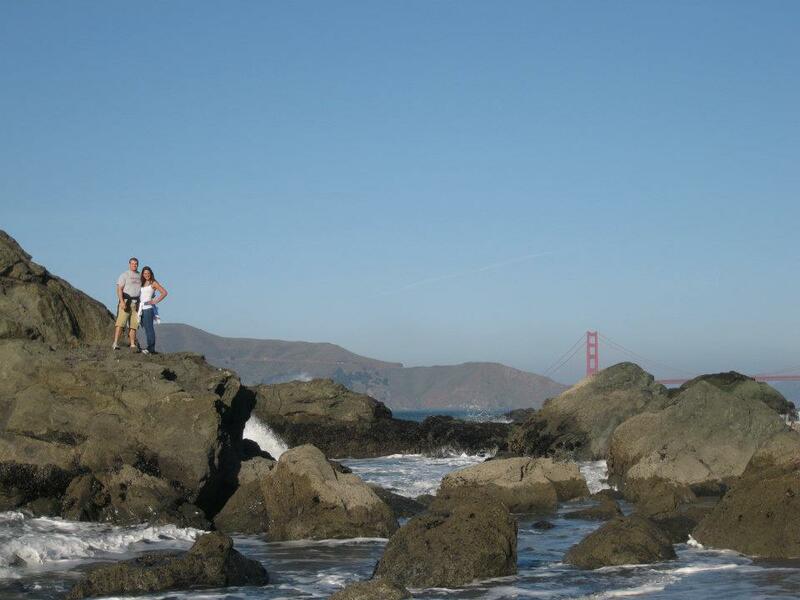 For more information, check out http://www.everytrail.com/guide/lands-end-san-francisco. The Golden Gate Bridge is the icon of San Francisco and is considered to be one of the most beautiful bridges in the world. Luckily, visitors have the opportunity to walk across the 1.7 miles span of this bridge, which opened to the public on May 28, 1937 at a cost $35 million dollars. For those that want a longer walk, there is a trail up to Hendrik Point, which features a phenomenal view of the bridge and the San Francisco skyline. For more information, check out http://www.everytrail.com/guide/walking-the-golden-gate-bridge. San Francisco may be as diverse a city as they come. The city boasts vast culture, art and history. For one perfect day, enjoy this 7.1 mile tour that will highlight the locals’ favorite diversions. It begins at Tartine Bakery, which is one of the best bakeries-cafés in town. Next, Stow Lake, where adventurers can rent rowboats and paddle boats. For lunch, walk a short few blocks to check out the vicinity surrounding UCSF at Irving Street & 9th Ave where there’s a diverse group of several ethnic restaurants. Then, return to Golden Gate Park for a visit to The Academy of Sciences Museum, a world-class science museum that has visitors lost for hours. Finally, finish at Haight-Ashbury, which takes visitors back in time to the hippie culture of the 60s. For more information, check out http://www.everytrail.com/guide/one-perfect-day-in-san-francisco. For those interested in a walking tour through the heart of downtown San Francisco, check out Crocker Galleria, Hallidi Building on 150 Sutter St, Wells Fargo Banking Hall, 111 Sutter St, City Group Center Greenhouse, The Crown Zellerbach Paper Co. Building and Shell Building. These buildings offer unique architecture that are not found anywhere else, and are considered to be some of the most important buildings in the world. Even though it’s only a half a mile walk, architecture buffs can get lost here for hours just admiring the beauty this historic area. For more information, check out http://www.everytrail.com/guide/san-francisco-downtown-architecture-walk. Tourists and locals alike are drawn to the irresistible charm that Chinatown has to offer. The entryway to this historic neighborhood features a green-tiled gate at the intersection of Grant and Bush streets at which point visitors are drawn into one of North America’s most populated Asian communities with the authentic ambiance of shops, restaurants, grocery stores, delis, bakeries, fortune cookie factory, tea and herbal shops, galleries, souvenir haunts and more. At 1.2 miles long, it’s the largest Chinatown outside of Asia. For more information, check out http://www.everytrail.com/guide/chinatown-san-francisco-walk. Built in 1850, with a history from the Union troops of the Civil War, Union Square is the place to gravitate to for shopaholics, theater enthusiasts and people watching addicts. Some of the most reputable retailers include Macy’s, Saks Fifth Avenue, Tiffany’s, Williams-Sonoma, Nike and Neiman Marcus. Or, for those that enjoy the more exclusive boutiques, head to Maiden Lane for the more intimate, chic boutiques and cafes. Before or after shopping, take the cable car or head to south of Market Street (SOMA) to enjoy museums, park life, a great variety of food and drinks and several family-friends sites. To properly prepare for this outing, prepare for a half-day with a 1.6 mile long journey. For more information, check out http://www.everytrail.com/guide/san-francisco-s-union-square-amp-soma. The above Explore Package is available through December 30, 2014 (with the exception of blackout dates) and is based on availability. Rates will vary according to dates of reservations. For reservations and additional information, visit www.sanfranciscoregency.hyatt.com or call (800) 233-1234. Situated on the Embarcadero Waterfront, across from the iconic Ferry Building Marketplace, with ferries to Sausalito, Tiburon and Alameda, Hyatt Regency San Francisco is the city’s most accessible hotel. The hotel is at the beginning of the California Street Cable Car line and is also in close proximity to the Embarcadero Center’s shops and restaurants, Financial District, Downtown, Chinatown, North Beach, Union Square, South of Market, AT&T Park (home of the SF Giants) and Embarcadero’s waterfront walking and jogging trail. As the city’s largest luxury waterfront hotel, Hyatt Regency San Francisco boasts 802 newly renovated rooms and suites. Guest services and amenities include Wi-Fi service throughout the hotel, 24-hour automated business center and newly constructed 24-hour StayFit @ Hyatt Fitness Center. Situated in the soaring atrium lobby of the hotel, amidst magnificent trees and trellises that create a serene and relaxing environment,Eclipse Restaurant serves breakfast, lunch and dinner featuring classic interpretations of local cuisine.